Police in Washington, DC currently have hundreds of surveillance cameras deployed across the nation’s capital, but law enforcement is looking to get real time access in order to put the entire city on constant watch. The District of Columbia’s vast surveillance system currently allows officers of the law to look at recorded footage from over 150 speed cameras, 50 red light lenses and more than 120 other closed-circuit television cams, with feeds relatively easy for the Metropolitan Police Department to both request and receive. A recent report in the Washington Times revealed that those appeals are being made more often than ever, with requests for footage surging 15 percent more in 2012 than the year prior. 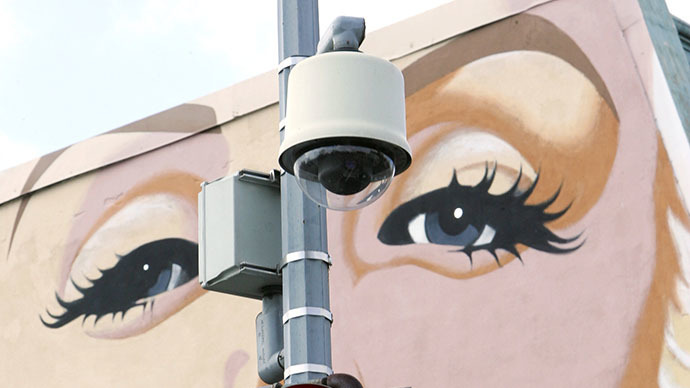 Officers with the MPD are looking for more, though, and are asking for unfettered, real-time access to that footage, putting the city’s half-a-million residents under the all-seeing eye of Big Brother. Cops in DC currently aren’t allowed to access real-time footage from surveillance cameras at a drop of the hat, but city leaders are asking for that ability in order to curb violent crime. That’s their excuse, at least, and it’s already worked in locales including Chicago, Illinois and Baltimore, Maryland. There law enforcement already can watch hundreds of surveillance camera feeds at any given time, a tool that police say puts them ahead of the criminals they are looking to track. 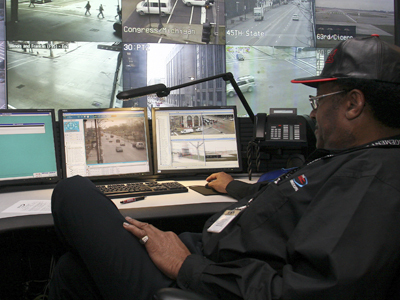 But while studies haven’t been able to conclude that real-time monitoring is all that useful, the MPD is eyeing the opportunity to observe every inch of the city at any time nonetheless. According to the Times article from this week, police requested surveillance cam data last year a total of 931 times, accumulating sometimes dozens of hours’ worth of intelligence from a single source. At the current rate, MPD officers are posed to put in more than 1,200 requests by the end of the calendar year, but creating a way to watch any intersection at any time may bring that number down, and with it the rate of crime. 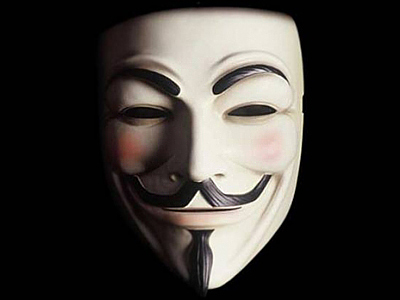 Civil libertarians, however, have an argument as well. 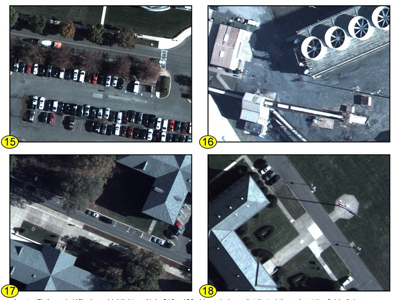 That same study determined that that technique was ineffective, though, concluding, “Cameras alone did not appear to have an impact on crime in DC.” The institute suggested that two reasons are responsible for those unwelcomed results, and predicted that repositioning cameras and actively monitoring them on a routine basis could bring crime numbers down. That’s exactly what Congressman Wells wants to do, and the city is already discovering other options for increasing the scope of its surveillance. Wells told the Times he wants to maneuver mobile “hot spot” cameras to any part of the city at a given time, which if all goes as planned will let someday-Mayor Wells make sure every inch of the city is monitored in real-time, just like in Chicago and Baltimore. Arthur Spitzer, legal director of the American Civil Liberties Union of the Nation’s Capital, sees a problem with this. “As cameras become more and more ubiquitous, the government will be able to use this data flow to sort of keep tabs on where everybody is all the time,” he told the Post. As far back as 2008, DC Police Chief Cathy Lanier said she didn’t have a problem with putting those feeds before a real set of eyes, either. “I thought, 'Why the heck aren't we watching them? '” she told the Post back then. Meanwhile, those working for the federal government don’t have to worry about the obstacles in place for city officials: DC’s branch of the federal Homeland Security and Emergency Management Agency pulls in feds from 4,500 cameras at any given moment, and that’s just from lenses affixed in the school and mass transit systems. 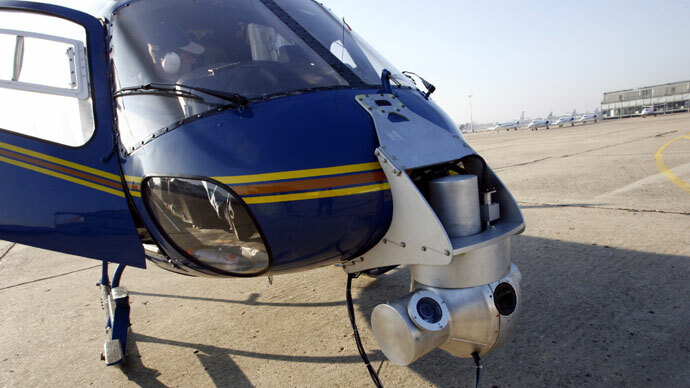 Since at least 2011, the HSEMA has been hoping to add private cameras owned by shop owners and others into that system. So far the city’s been unable to wire its entire surveillance infrastructure to one single hub, though, but that likely is being made much easier thanks to the revenue some of those cameras collect. In 2012, traffic cameras owned by the DMV and fed to the local police netted $13 million for the city.